Picture this: You’re at a big-box store, where you’re about to hand over your credit card to buy something big. We’re talking a refrigerator. Or a new TV. Or a nice vacuum cleaner. “Do you want to purchase an extended warranty?” the cashier might ask. But if you’re about to lay down major cash for an item you’d like to hold up for a few years (or more), a warranty might be a factor. What if you could extend the warranty without paying extra? 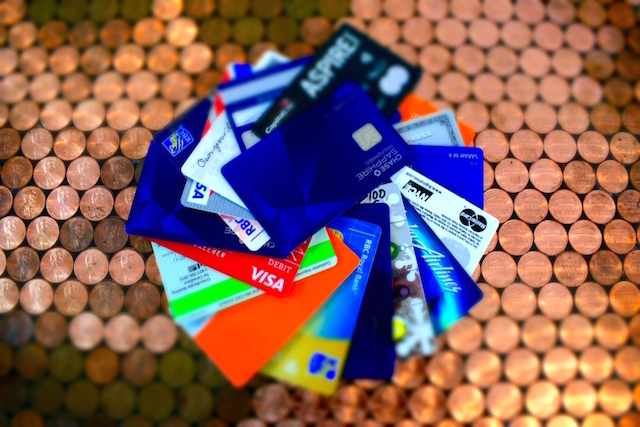 If you’re a smart credit card user, it’s as simple as picking the right card for the purchase. Which Credit Cards Offer Extended Warranties? In short, all of them, though details vary between card companies. Here’s the breakdown based on the type of credit card. MasterCard “World” cards offer an extended warranty for goods with a manufacturer’s or store warranty of 12 months or less. MasterCard doubles the original warranty for a maximum of 12 months for most items, and if you purchase a 12-months-or-less service contract or additional extended warranty on an item, the company will honor an extra 12 months. MasterCard’s extended warranty kicks in the day after your original warranty expires. If your coffeepot keels over 364 days after you bought it, you can only get your manufacturer’s warranty; there’s no double-dipping here. The extended warranty has a $10,000 limit, so don’t expect to buy a brand-new car upfront with your MasterCard. Plus, these items are completely excluded from coverage: antiques, collectibles, floor models, motorized vehicles, plants and software. Normal wear and tear is excluded, too. So if you burn out your blender making too many frozen margaritas, you’re on your own. If the item can be repaired, Mastercard is likely to pay an authorized repair facility directly. Otherwise, you can expect reimbursement for the item within about a week of turning in receipts and any other documentation required for your particular claim. Get two points per dollar on dining and entertainment and one point per dollar on all other purchases. You get a 0% intro APR for 15 months, then switch to 13.24%-23.24%, based on your creditworthiness. There’s no annual fee, and no expiration date or limit on your points. Use your points for travel, event tickets or shop with them on Amazon. If you want to improve your credit with a secured card, this one has a stellar 11.99% variable interest rate. There’s a $44 annual fee, but no minimum required credit score. Your security deposit (and line of credit) can range from $200 to $2,000. JetBlue just switched from Amex to MasterCard, and the new card has no annual fee. Earn four points per dollar on JetBlue purchases, two points per dollar on restaurant and grocery purchases, and one point per dollar spent on everything else. The card comes with a variable APR of 12.24%, 20.24% or 25.24%. Points never expire, and there are no foreign transaction fees for using your card. Visa Signature cardholders enjoy extended warranty protection service that extends coverage up to a year on products with warranties of three years or less. The Visa coverage extends exactly what’s offered by the manufacturer or retailer’s warranty, but items purchased for professional or commercial use aren’t eligible. If you need to file a claim, you’ll need to provide a copy of your receipt and the original warranty. Want to go paperless, or at least make an effort? Use the optional Warranty Manager Service. Register your product with Visa over the phone, send in your sales receipts and warranty info and they’ll keep it all on file. So if you need to get an item repaired or replaced, all you have to do is call Visa, instead of shuffling around in your desk for the necessary documentation. If the item can be repaired, Visa will probably pay an authorized repair facility directly. Otherwise, expect reimbursement for the item within about a week of completing the claim process. One option we like? It’s the Chase Freedom Unlimited card. Its claim to fame? You’ll earn an unlimited 1.5% cash back on all your purchases. Plus, if you spend $500 in your first three months of opening the card (hi, groceries), you’ll pocket a $150 bonus. The Venture Rewards Card has some of the best travel perks around. Get two miles per dollar on every purchase, and use your miles for any airline or hotel. APR ranges from 13.24% to 23.24%. There’s no annual fee the first year, but expect to be charged $59 every year after that. Earn 1% cash back on every purchase, along with 2% cash back at the grocery store and 3% cash back at the gas station on your first $1,500 in combined purchases. Your variable APR will be between 13.24% and 23.24%, and there are no annual fees. New cardholders enjoy 0% introductory APR for 12 billing cycles. Military service members and their families can take advantage of USAA benefits with this rewards card. It offers 1% cash back on every purchase, along with 2% cash back at the grocery store and 3% cash back at the gas station on your first $1,500 of combined purchases. There’s no annual fee or minimum finance charge, and your APR could be as low as 10.15%. Earn two Aeroplan miles per dollar spent on Air Canada purchases, and one mile per dollar spent on everything else. There’s no annual fee at first, but you’ll pay $95 after the first year. Your interest rate will be a variable 14.24%, 19.24% or 23.24%, based on your credit history. American Express is known for its member perks, and its extended warranty is no exception. The company extends the original manufacturer’s warranty of five or fewer years. If the length of the original warranty is less than a year, Amex matches it — and if it’s between one and five years, Amex provides one extra warranty year. You’re covered for purchases up to $10,000, excluding typical stuff like motor vehicles, items damaged by natural disasters or software. American Express may require you to ship the defective item, but it’ll reimburse the shipping cost. Make sure you keep your receipts and a copy of your Amex statement from the purchase. Earn three points per dollar at U.S. supermarkets, two points per dollar at restaurants and one point per dollar everywhere else. There’s no annual fee, and you’ll have a variable APR of somewhere between 15.24% and 25.24%. Frequent traveler? Hit the road with this card, which offers seven points per dollar spent at participating Hilton properties. You also get five Hilton HHonors points for each dollar you spend at U.S. restaurants, supermarkets and gas stations. There’s no annual fee, and the variable APR is between 15.49% and 19.49%. This card keeps it simple: You earn one point per dollar spent. Depending on your creditworthiness, you’ll get a variable APR of 15.49%, 18.49% or 20.49%. And you won’t pay an annual fee. This card has an annual fee of $195, but comes with major perks for frequent travelers. Earn two miles per dollar spent on Delta travel and one mile per dollar on everything else. You’ll also enjoy one companion fare each year, priority boarding on Delta flights, one free checked bag and no foreign transaction fees. Expect a variable APR of 15.49% to 19.49%. Discover offers an extended product warranty up to one additional year on warranties of 36 months or less. It’s available to every Discover card member, as long as you made the purchase with your Discover card. Be sure to file your claim by phone within 45 days of the incident. This student card pays 1% cash back on most purchases, but offers 5% cash back in rotating categories throughout the year. For example, you can grab 5% cash back this fall at Amazon.com. You’ll get 0% APR for six months, then 13.24% to 22.24% variable APR. There’s also no annual fee. With 0% interest for the first 12 months followed by 11.24-23.24% variable interest, this is a good option for folks with the travel bug. Earn 1.5 miles per dollar spent on every purchase, and miles never expire. There are no blackout dates, and you can get $30 cash back each year for in-flight Wi-Fi purchases. Get 2% cash back on gas and restaurants for up to $1,000 in combined purchases each quarter. Plus, you’ll get 1% cash back on all credit card purchases. Redeem your cash back for any amount, any time — it never expires. Plus, it’s easy to use your rewards cash at Amazon checkout. Build your credit with this secured card and still earn 1% cash back on purchases, plus 2% on gas and at restaurants up to $1,000 per quarter. There’s no annual fee, and there’s a 23.24% variable APR. You’ll need to pay in some cash to secure the credit line, but if you’re committed to paying off your balance each month, this card is a good deal. Want to Make The Most of Your Extended Warranty? Follow these tips to get the most out of your policies. If you’re making a major purchase, it’s worth spending the time to check your warranty options. Stacking manufacturer and store warranties may stretch your protection even further, even before your extra credit card coverage kicks in. The moment you have a broken product on your hands is the last time you want to be scrounging around for your wrinkled-up receipts. A simple two-pocket folder is probably all you need to keep track of your purchase warranties. If something goes wrong, don’t wait to file a claim! Each credit card has different deadlines for filing extended warranty claims, so be prompt to redeem your benefits. Once you open a claim, you’ll have a limited window to submit documentation, so don’t open a claim and then forget you did it. That’s just money down the drain! Lisa Rowan is a writer, editor and podcaster living in Washington, D.C.